The 1st Edition of the Karlsruhe Nuclide Chart was published in 1958. To celebrate the 50th anniversary in 2008, a special one-day event was organised by ITU on 9th Dec. 2008 in the Gartensaal of the Karlsruhe Schloss (castle). 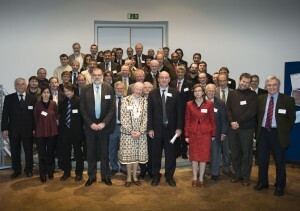 Presentations were made by a number of renowned scientific experts: A. Zichichi (CERN), A. Popeko (Joint Institute for Nuclear Research, Dubna), F. Bosch (GSI Darmstadt), F. K. Thielemann (University of Basel), W. Kutschera (University of Vienna), M. J. Garcia Borge (Instituto de Estructura de la Materia, CSIC, Madrid), A. Türler (University of Munich), A. Marinov (University of Jerusalem), G. Drexlin, KIT Karlsruhe. 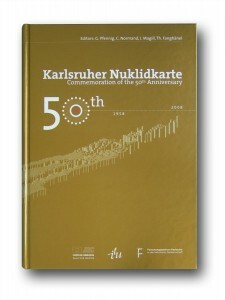 During the event, the special commemorative publication  to mark the 50th Anniversary of the Karlsruhe Nuclide Chart was presented.